I met Julie and Barry at the prettiest little park outside of Lansing for their engagement pictures. Julie and Barry often bring their dog walking at this park and picked this specific location for the tall pine trees. When I saw the light coming through the pines I was instantly in love with the location! It was so incredibly beautiful. It was one of the colder days in November, but these two were troopers, and didn't let the chill bother them at all. As we walked through the woods, I loved getting to chat with Julie and Barry about how they met and how they got engaged. They are yet another dating app success story- I keep hearing these all the time! They quickly became serious after their first date and were engaged the next year. They told me the sweet story of their engagement, where Barry took Julie to his family's cottage and asked her to marry him. I always love thinking about that rush of excitement and joy that comes in those first hours and weeks after getting engagement, and then the fun of telling your friends and family. It is such a fun story to relive with couples! These two are planning their wedding for next summer and I cannot wait to spend the day with them. They have the prettiest venue picked out, and when Julie showed me her wedding dress I actually gasped- it is going to be GORGEOUS. Enjoy all of the planning and anticipation, Julie and Barry! I just love these two! Lauren and I were in the same sorority back in college and getting to reconnect with her during her wedding planning has been so much fun. This time last year she and JD came over to have dinner with Ted and me and we had the best time. Lauren has this infectious spirit that makes everyone around her feel so loved. After meeting JD it was clear that Lauren had met her perfect counterpart. Not only do they share the same hobbies and pastimes, but they share a love for people and both have a way of making you feel known and cared for. JD teaches at Cranbrook and these two actually get to live on the absolutely beautiful grounds. So basically they live in a storybook! When your clients have a backyard this pretty of course we have to take advantage of it! 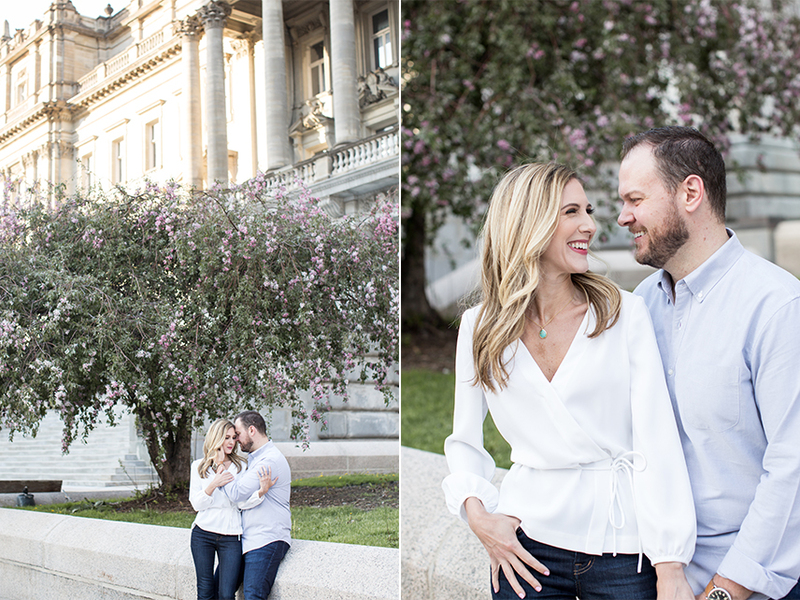 We wandered around the perfectly manicured grounds and stepped inside the most picturesque library for a few shots. These two both love reading, so it was extra fun to capture them right in their element- surrounded by books. And the library looked a whole lot like a scene out of Beauty and the Beast so basically it quickly became one of the coolest places I have photographed! 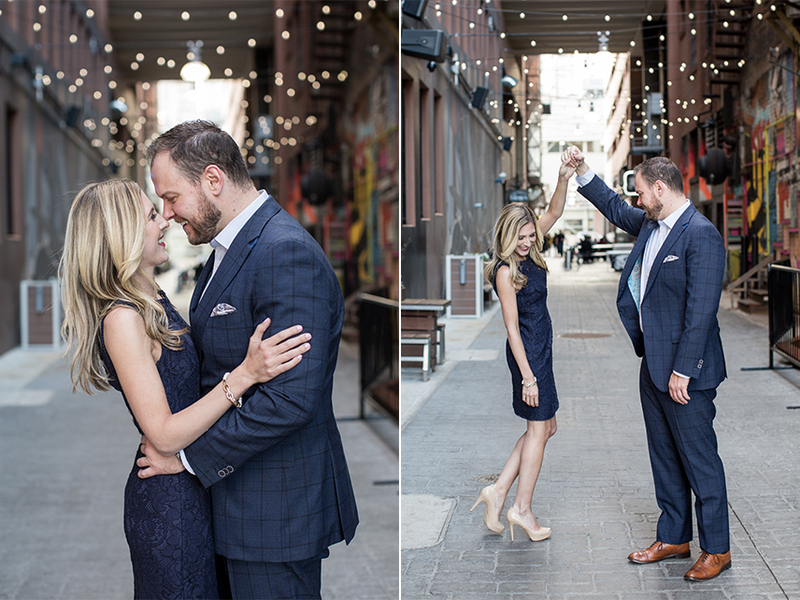 While chatting about engagement pictures Lauren and I also discussed going with a vintage travel theme. So Lauren put together a few things to create the perfect vintage travel setup. I love the way the images of her in the fur with the suitcase and big hat turned out. I love that these two were able to show some much of their personality during their engagement shoot. Lauren and JD I could not be more excited to be a part of your wedding day! I think you both are pretty darn amazing, and cannot wait to see the beautiful day that celebrates the start of your forever! When I moved to Albion College to say I was terrified would be an understatement. I loved being at home. I wasn't one of those high school seniors that was counting down the days till I obtained my freedom and moved out forever. No, my parents pretty much took me against my will to college. I am the youngest of seven kids and they had done this a few times. They knew I would be just fine once I got there. And to be honest I cried for approximately the first 10 minutes after they left, and then to my surprise, I loved it. My hall was filled with other young ladies that just wanted to hang out all of the time- from studying, eating all of our meals together, and going out- we were pretty much inseparable. I loved everything about being at Albion, especially the girls I met on my hall freshman year. And guess what, Amanda was probably the very first person I met. The doors to our rooms were always open and we spent that year like our hall was one big house, with people moving from one room to the next to catch up, study, and hanging out. I could share so many incredible stories with you about Amanda. I could tell you about the time I found out she was my big in our sorority, or how she was waiting up in my room to chat with me after the first time I hung out with Ted, or how she was always at my volleyball games. She is a true friend, and Dan is so lucky to have her. The picture below tells the story, they met on Tinder! They swiped right and now the rest is history. Watching Dan and Amanda together made me so happy. You always want to see your friends end up with someone who deeply loves and cares for them and that is exactly how Dan treats Amanda. He made her laugh, held her hand, and told her how beautiful she looked during their shoot. Amanda's sister and niece were with us during the shoot and I have to say one of the sweetest things had to be watching Dan interact with his soon-to-be niece. When Amanda called to tell me she and Dan were engaged she shared Dan had asked her in front her whole family at her niece's baptism. That seemed fitting because that little lady certainly loved her soon-to-be uncle. It seems like he is already part of the family! I cannot wait to celebrate with these two and their family and friends next summer!